Meet your Neighbor Ben Campbell of Blandinsville. Ben is the son of Gary and Cheryl Campbell also of Blandinsville. Gary works at Western Illinois University and Cheryl is an LPN. Ben was born May 10, 1995. He graduated from West Prairie High school in 2013. He has two sisters, Christy (Kenneth) Ray of Blandinsville and Kelsey (Michael) Bible, also of Blandinsville. He is the proud uncle of two nieces and two nephews. Gracie is 4, Warren is 2, Emma is 2 and Hunter is 7. Ben's grandparents are William Dennis and Mary Kathryn Icenogle of Blandinsville, and Pat Campbell of Blandinsville. Ben just started working for Clover's Tire Shop in La Harpe. Previously, he has worked for West Central FS, the The La Harpe Elevator, and Hollisters in Macomb. 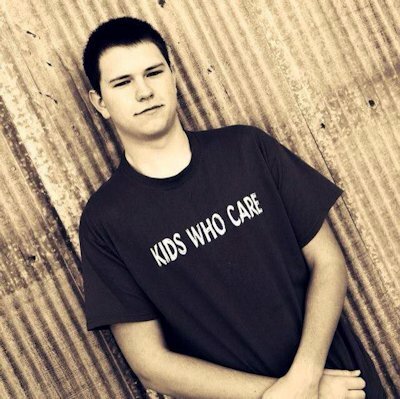 Ben is a volunteer firefighter for the Blandinsville-Fire Department and is also a member of Kids Who Care. He also helps coordinate the annual car show in Blandinsville. In his spare time, Ben enjoys playing any sport, playing video games and hanging out with friends.